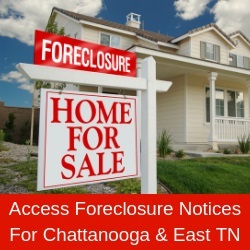 While the focus of this space is normally on residential real estate, numerous members of the Greater Chattanooga Association of Realtors also provide commercial real estate services. This week, we explore this specialty. GCAR has two multiple listing systems through which Realtor members share information and offer cooperation to other subscribers. With a combined 1,967 subscribers, only 300 of those currently subscribe to the commercial MLS. Of those 300, 238 also have a subscription to the residential MLS, so they practice both commercial and residential trades. The remaining 62 work exclusively with commercial properties. The types of properties found in the commercial MLS include: office; retail/commercial; shopping center; industrial; multifamily/dwellings with five or more units; hospitality; vacant land; farm/ranch; and a category called “special purpose.” These properties may be listed for sale or for lease. To subscribe to either system, a real estate licensee must be a member of GCAR or another local association. This membership requires that the agent adhere to the Code of Ethics and Standards of Practice of the National Association of Realtors. As was covered in this space in recent weeks, this code directs how members must treat their clients, customers and each other. Just as in a residential real estate transaction, adherence to the code of ethics is an important question to ask before entering into commercial real estate representation. As it relates to licensure from the Tennessee and Georgia Real Estate Commissions, both residential and commercial agents receive the same type of license, but the path each follows goes in very different directions. Working with a potential tenant on a retail space requires a unique set of tools. From dealing with who pays for the taxes, insurance, utilities and build out of the space to determining the number of parking spaces provided and which maintenance items are the tenant’s responsibility versus the landlord’s, representing a commercial client requires different knowledge and skills than a residential Realtor uses when working with a buyer. When you need the expert skills of a Realtor on your next commercial transaction, start by going to www.GCAR.net and clicking on “Commercial Property.” From there, you can search over 1,500 property listings and research the 300 agents who work in this field. The Greater Chattanooga Association of Realtor is “The Voice of Real Estate” in Greater Chattanooga. The association is a regional organization with more than 1,700 members and is one of more than 1,400 local boards and associations of Realtors nationwide that comprise the National Association of Realtors. GCAR services Hamilton and Sequatchie counties in southeast Tennessee and Catoosa, Dade and Walker counties in northwest Georgia. Go to www.GCAR.net for more information.